What Causes a Permanent Magnet to Lose Its Magnetism? Some products use magnetism in their construction. Magnetic earrings or aquarium cleaning products, for example, often employ two strong magnets to hold parts of the product together, allowing them to cling to the ear or slide up and down an aquarium wall. When permanent magnets become too weak to function, something must be done. Fortunately, there are a few ways to make your magnets stronger. Test your magnet. Place it on a vertical metallic surface--if it starts to slide down the metal, it is weak. Try to pull it off--if there is very little resistance, it's weak. The harder it is to pull off the metal, the stronger the magnetism. If you have a weak magnet, it has either always been weak or has steadily weakened over time. If it has always been weak, there is very little you can do. Discard it and focus on strengthening any magnets that have grown weak over time. Place your weak magnet next to a powerful magnet. 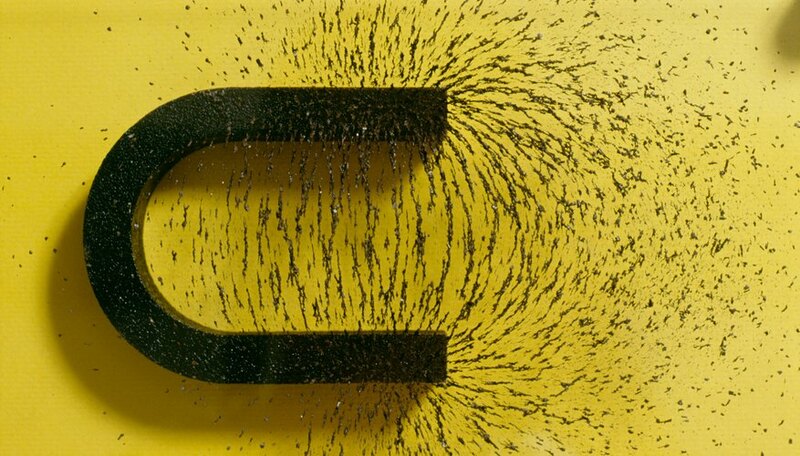 The stronger magnetic field of your powerful magnet can pull the electrons of your weak magnet back into alignment simply by the weak magnet resting in the field of its powerful counterpart. Stroke your weak magnet with your powerful magnet. This will help realign electrons that have fallen out of sync with the other polarized electrons. The rubbing will help pull the electrons of the weaker magnet in the proper direction. Place both magnets next to each other in the freezer. The stronger magnet will continue to influence the weaker magnet, and the cold temperature of the freezer will hinder the movement of the electrons in the weak magnet. This will keep them from turning out of place as they might otherwise do. Heat, radiation, stress and electricity destroy a magnet's magnetic field by misaligning the electrons--the opposite is true in the case of cold--low temperatures preserve a magnet's polarity. Remove the magnet from the freezer after 24 hours and test its magnetism. It should be much stronger than it was the previous day. This is a temporary fix, but it should keep the magnet in working condition until you can replace it with something stronger--or just continue strengthening it as needed. Pitan, Dustin. "How to Strengthen a Permanent Magnet." Sciencing, https://sciencing.com/strengthen-permanent-magnet-6501964.html. 25 April 2017.